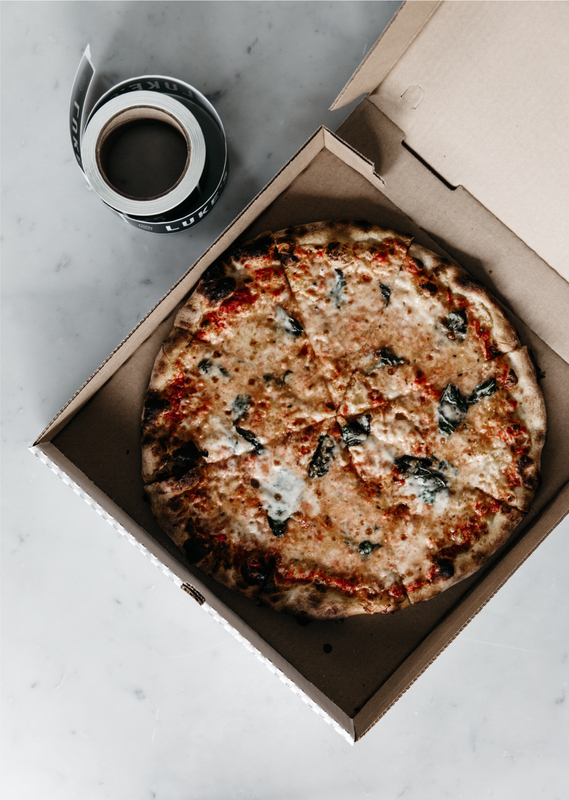 Tucked away in downtown Charleston, our family-owned pizza shop is a neighborhood favorite devoted to simple ingredients, kind service, and good pizza. Crushed Tomato A simple, classic tomato sauce made in house with garlic and a blend of mild seasonings. | Creamy Ricotta A white base sauce made in house with ricotta cheese, cream, garlic, and a blend of mild seasonings. | Olive Oil & Garlic A sauce made in house with olive oil and a rich blend of garlic and mild seasonings. A meaty, green Italian olive with a mild, buttery flavor. Pizza/Crust Dipping Sauces $1 ea. For more questions regarding our menu, please see our FAQ section below, or give us a call at 843-410-1695. How/when can I place an order? We begin taking phone and walk-in orders at 4:00pm. We are unable to take orders left via voicemail. We will take orders up until 8:55pm (unless we have sold out). We will do our best to give you an estimated wait time. You are welcome to reserve a later pick-up time if you'd like to order in advance. Please note that our phone will give you a busy signal if we are on the other line. Our phone will ring to voicemail if we are closed or sold out for the evening. Why do you only make 50 pizzas a night? Our concept is simple—less is more. That applies to our menu, our restaurant size (450 square feet! ), and even our staff. 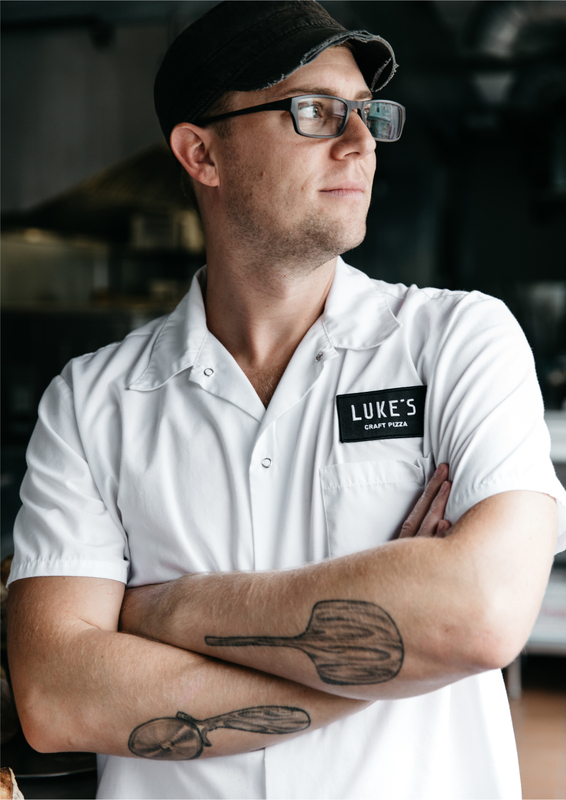 In fact, Luke is the only one in the kitchen—from food prepping and ordering, to washing dishes and folding pizza boxes, he does it all. 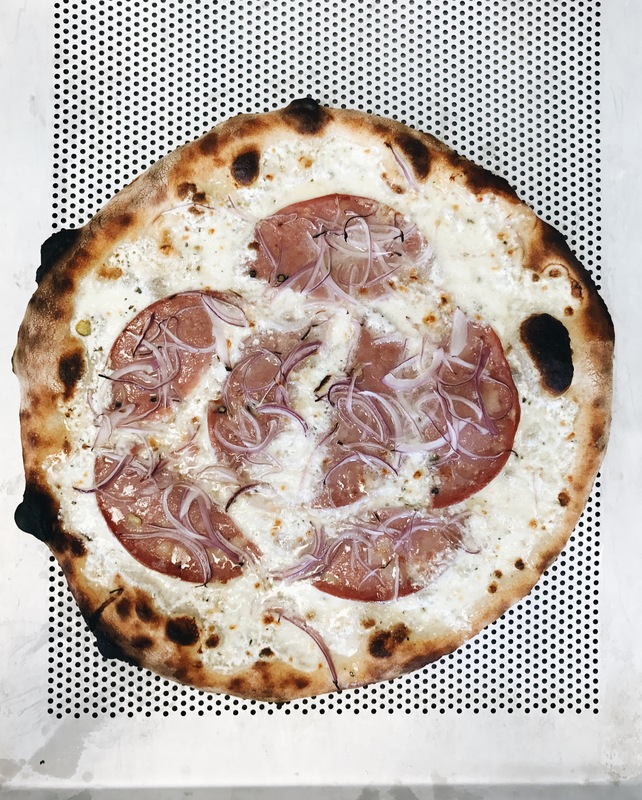 Keeping things simple enables Luke to create consistent pizzas each and every time. No, we do not offer delivery. Please call ahead to place your order and then come in to pick up your pizza. You can also walk-in and order at the counter and wait for your pizza to be ready. From start to finish, it takes Luke 5-8 minutes to stretch, top, and bake one pizza. Depending on business, it could take anywhere from 5 minutes to 1.5 hours to receive your pizza from the time you place an order. We do our best to give you an estimated pick-up time when you place an order. However, due to the nature of pizza, we cannot guarantee an exact time—we appreciate your patience and understanding with our wait times. Please arrive at the quoted time (or earlier) rather than later to pick up your pizza, so that you can have it as fresh and hot as possible. Can I do half toppings? No, we do not do half toppings on our pizzas. We like to keep things as simple as possible. We can, however, offer our jalapeños, olives, and spicy honey on the side if requested. 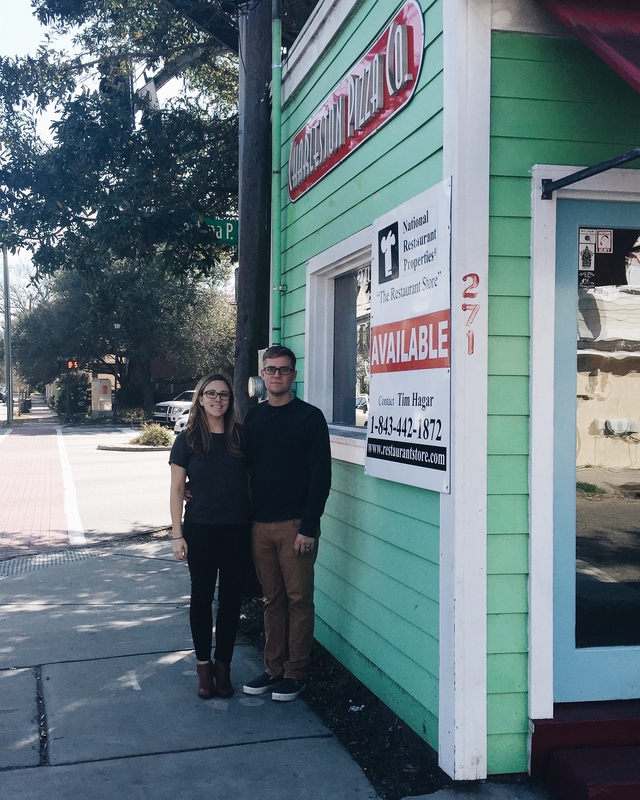 Our address is 271 Ashley Avenue, Charleston, SC 29403. We are located on the corner of US-17 (the Crosstown / Septima P. Clark Pkwy. ), Ashley Avenue, and Kennedy Streets—right in the middle of the downtown peninsula in a tiny gray and white building. There is free street parking on Kennedy Street right out front of our shop, as well as on Ashley Avenue just north of us. Please be courteous to our neighbors by not blocking any driveways. Please note that Ashley Avenue is a one-way street (North only) and Kennedy is a two-way street. We are open four days a week—Thursday, Friday, Saturday, and Sunday from 4pm–9pm (unless we have sold out). We are closed on Monday, Tuesday, and Wednesday. Why are you only open four days a week? Having a solid work/life balance is our priority. We welcomed our daughter into the world on 12/29/2016, and want to spend time together as a family of three! No, we are a small, two-person operation and only have the capacity to open for dinner. We open at 4pm Thurs–Sun. How much does your pizza cost? Our 14" cheese pizza (choose one base sauce, topped with mozzarella and asiago cheese) is $15 + tax. From there, you can add any of our twelve toppings, which range in price from $1-3/each + tax. We accept cash and credit card (Visa, Mastercard, Amex, Discover). We do not accept checks. Can you make a gluten-free or vegan pie? We do not have the capacity to make gluten-free dough. We can make a vegan pie with your choice of crushed tomato or olive oil and garlic base—please request no cheese at the time of ordering, and we will deduct $3 from the price of that pizza. Can you accommodate certain allergies? DAIRY allergy—we can make a pizza with no cheese. NUT allergy—we do not use nuts in our kitchen (please double check with us regarding our weekly pizza specials). SOY allergy—we do not use soy in our kitchen. 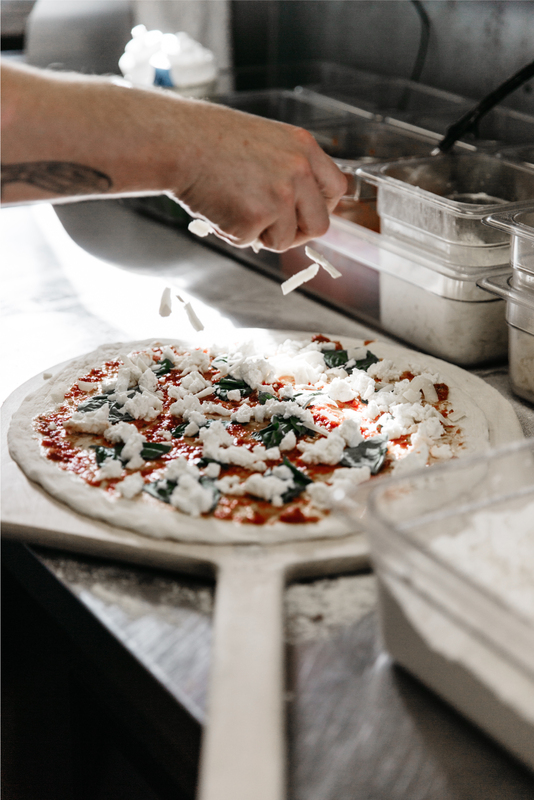 GLUTEN allergy—we use high-gluten flour for our pizza dough. LATEX allergy—we do not use latex gloves in our kitchen. ***Please always alert us of any allergy upon ordering so we can take the proper precautions. What size pizza do you have? We have one size pizza, 14" round. We cut it into 8 slices. One pizza serves approximately 1-2 adults. It is comparable to a standard medium-sized pizza. Do you serve anything besides pizza? 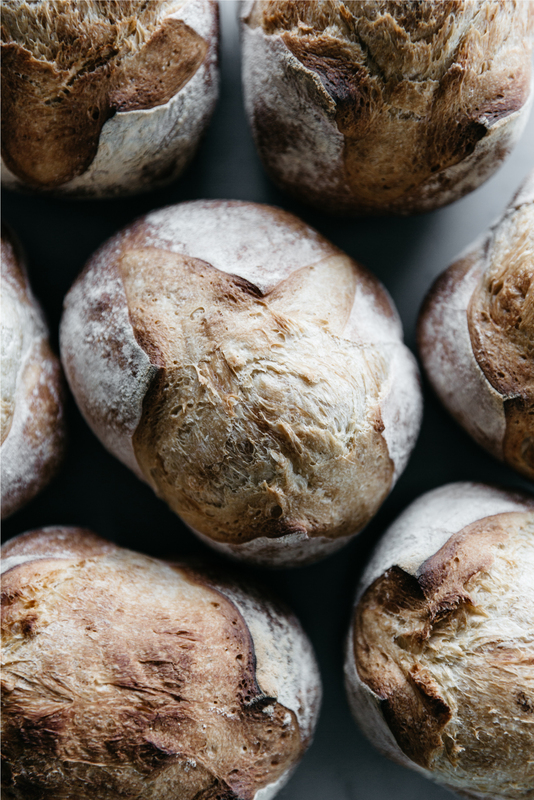 We sell fresh loaves of bread made from day-old pizza dough (when available). 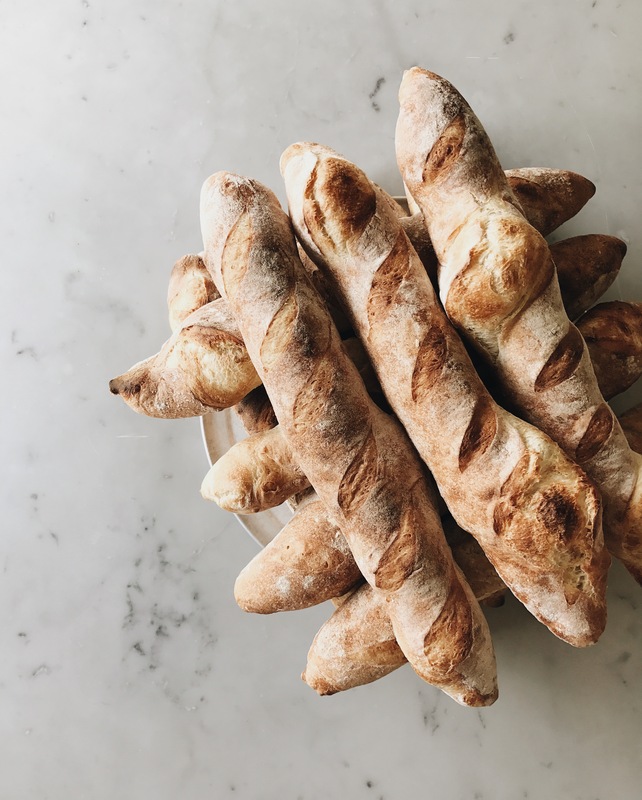 Luke switches it up between focaccia, baguettes, and rustic Italian loaves. Try it with our dipping sauces for $1 each—crushed tomato, creamy ricotta, or olive oil and garlic. We also have a rotating selection of beverages available as well. We do not serve crushed red pepper flakes, parmesan cheese, ranch, salads, breadsticks, wings, or alcohol. What are your dipping sauces? We offer our base pizza sauces on the side for $1 each—crushed tomato, creamy ricotta, or olive oil and garlic. We also have our house-made spicy honey. They are perfect for dipping your crust in! What is the most popular combination? Since our menu is "build-your-own", we don't necessarily have one popular combination. Our margherita pizza is always a classic! That comes with crushed tomato sauce, mozzarella, asiago, and basil. Our housemade fennel sausage is our most popular topping. Do you offer weekly specials? 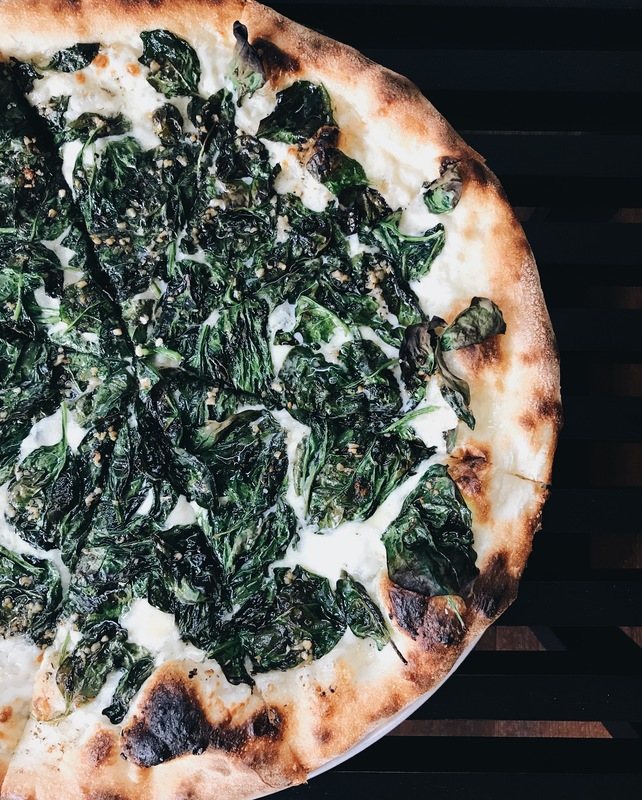 We strive to feature a special pizza every week (Thurs–Sun), by offering a seasonal topping—local whenever possible— that’s not on the menu. We post a picture and description of the pizza on Instagram and Facebook for reference. For example, one week last summer we did a pizza with local peaches, speck, and jalapeños. We have a rotating selection of LaCroix sparkling water, Mexican Coke, and SanPellegrino available. We do not offer alcohol at this time. 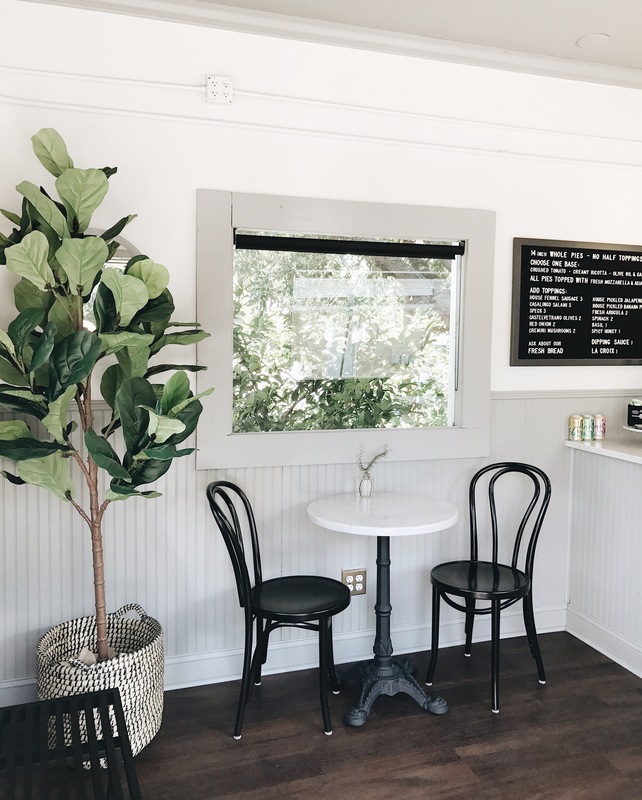 Take a stroll over to one of our neighbors to find more beverage offerings: President Market (208 President St) is a corner store that sells beer, wine, etc. ; Daps Breakfast & Imbibe (280 Ashley Ave) is a breakfast/bar/coffee shop. Can I eat at the shop? We are a carryout-only shop, and do not offer table service. However, after receiving your pizza, you are welcome to stay and eat at our two-person table inside or on our bench outside! Feel free to bring your own beverages, too! When do you sell out? It varies every night! Some nights we stay open until 9pm (we accept orders all the way up until 8:55pm), and some we have sold out as early as 7pm. Please feel free to call the shop when we open and reserve a later pick-up time. We accept reservations for pick-up times as late as 9pm. How is your dough made? Our dough is made with four simple ingredients—flour, water, salt, and yeast. It is hand-mixed and left to rise for 24 hours. Then it is cut, weighed, and shaped by hand. Any unused dough is saved for fresh bread the next day. Can I place a large order? Yes—we take orders for up to 10 pizzas! 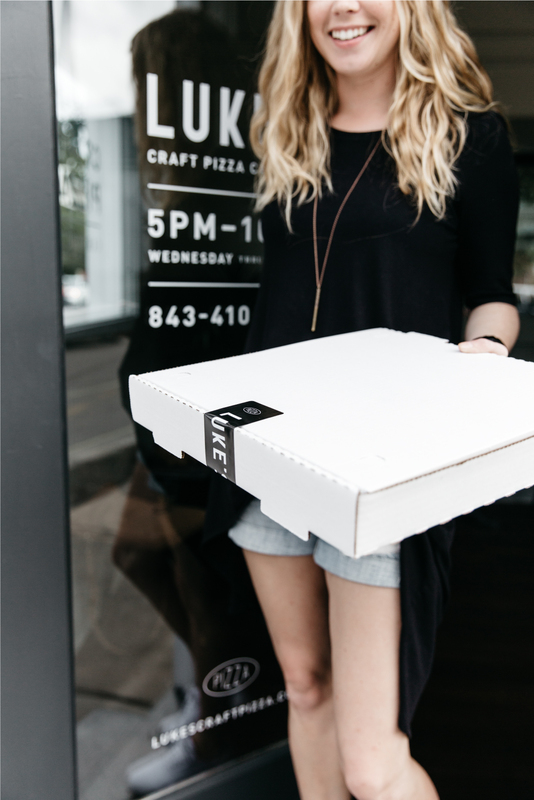 We ask that you call or email at least one day in advance to discuss the details for an order with 7 or more pizzas. We do not offer catering, delivery, or private parties at the shop at this time. We are located in downtown Charleston, on the corner of the crosstown (US-17), Ashley Avenue, and Kennedy Streets. Street parking is available on Ashley Avenue or Kennedy Street. 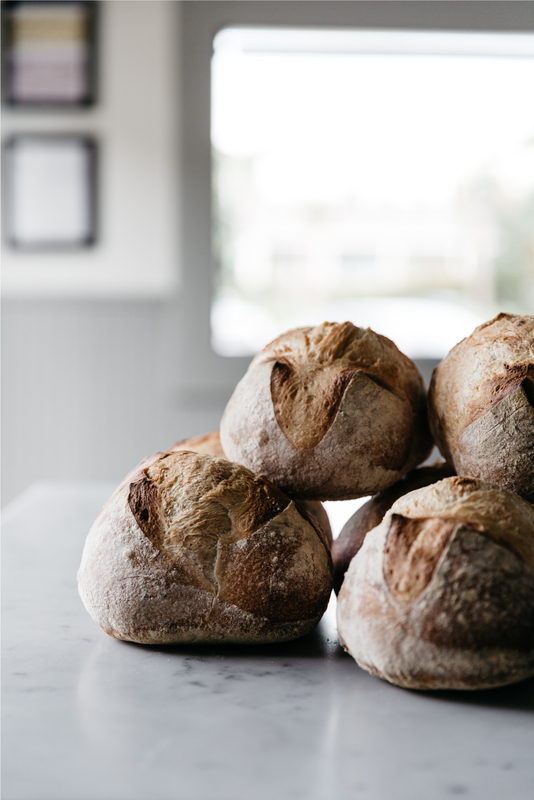 Luke Davis has been fascinated by the art of bread and dough for over 10 years now. He graduated from the Columbus Culinary Institute in Ohio in 2009. After working in a variety of restaurant kitchens, he found his passion in pizza-making. 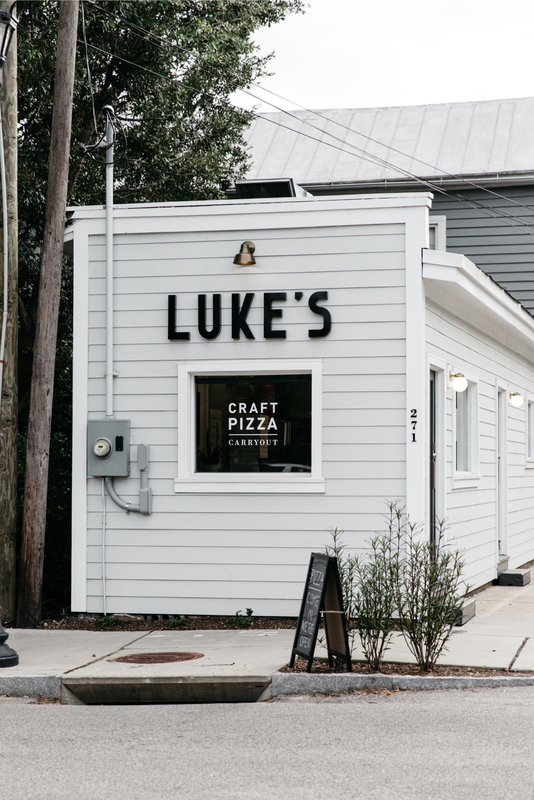 Relocating to Charleston in 2013, Luke spent the next three years working at a handful of pizzerias such as EVO, Monza, and Coastal Crust. 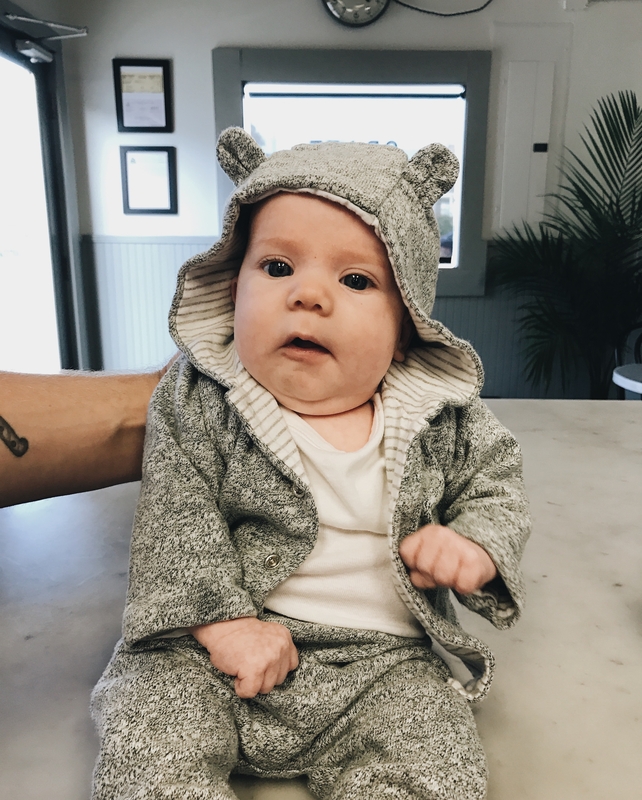 After experiencing the local f&b industry and the downtown pizza scene (or lack of), he realized the city needed good, clean, and simple pizza. 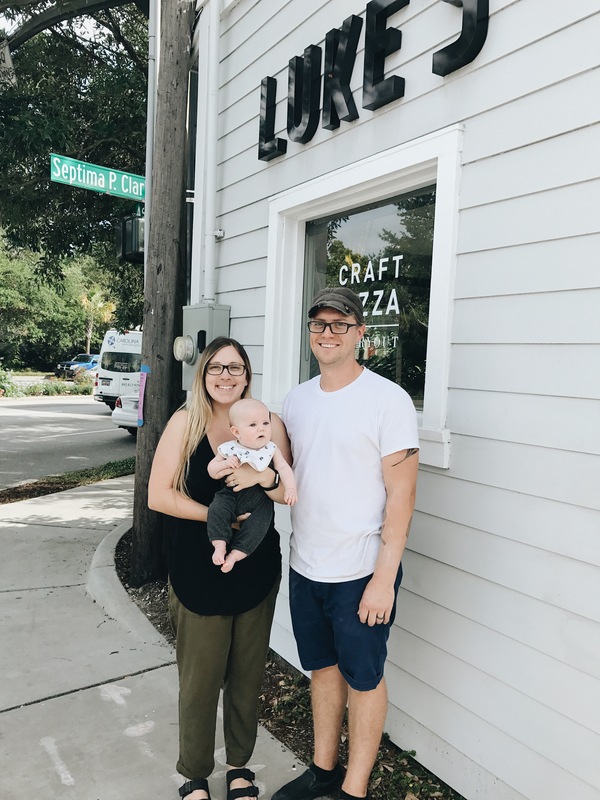 It was time to open his own place: Luke’s Craft Pizza. 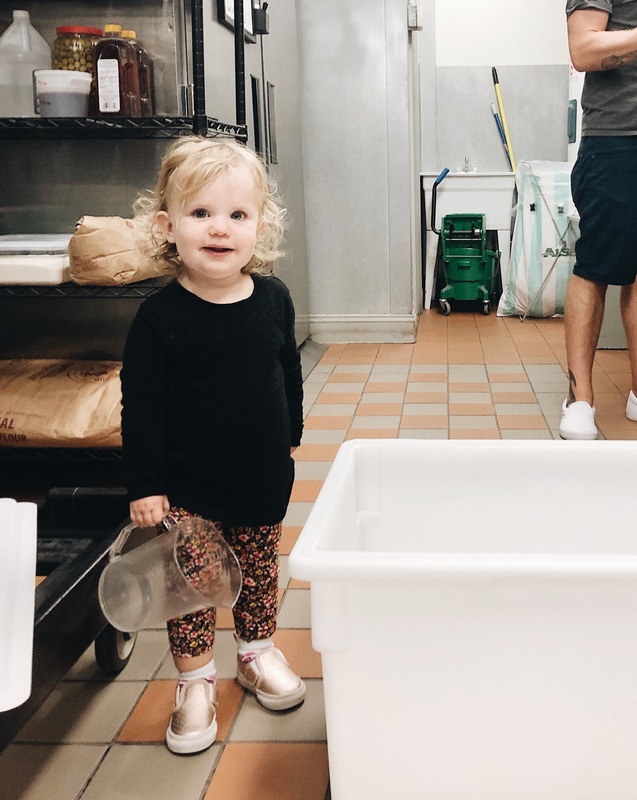 The 450-square-foot shop, tucked away on the Charleston peninsula, is run by Luke and his wife, Brittany, (and their 2 year old daughter/future pizza-maker/#pizzababy, Johanna!). 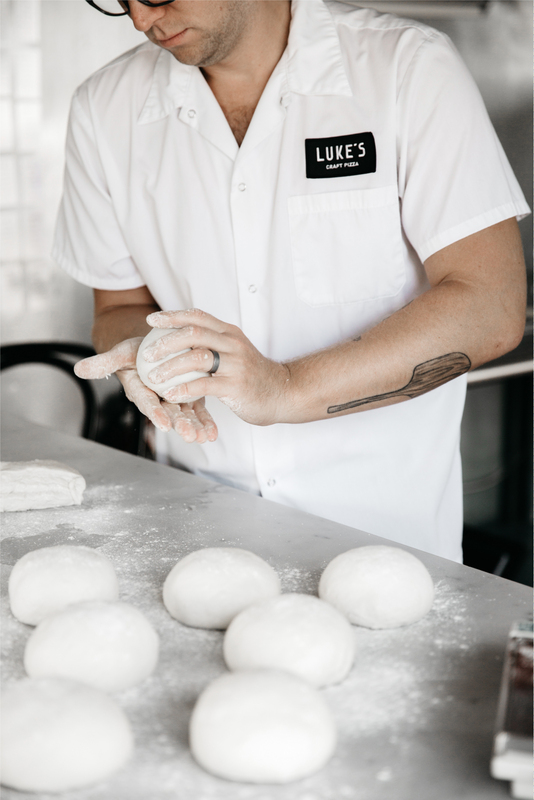 Luke does everything by hand in the one-man kitchen—from making the dough and prepping each ingredient, to washing dishes and folding pizza boxes. He wouldn’t have it any other way. Come on by and try a pie!